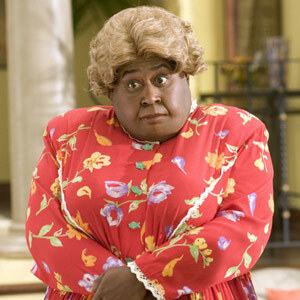 No matter who "Yo Mamma" happens to be, she should be celebrated on Sunday, May 8th....if you know what is good for ya!! IHAN and ReadingLights dot com want to help you with a gift for "Yo Momma." The personal, portable, hands free light for anywhere, anytime, that won't disturb others. Excellent for all needlecrafts. Includes three 4in x 5in acrylic fresnel magnifiers. Needed (not included) are 4 standard alkaline AA batteries. The personal, portable, hands free light for anywhere, anytime, that won't disturb others. Excellent for all needlecrafts. With 3 LED bulbs, the 4 standard alkaline AA batteries (included) last at least 120 hours. Also comes with a red filter to help night vision. The personal, portable, hands free light for anywhere, anytime, that won't disturb others. Excellent for all needlecrafts. Includes two clip-on filters & a large 4in x 5in acrylic fresnal magnifier. Needed ( not included) are 4 standard alkaline AA batteries. Everything is so blurry ....how do you know if you have ones or hundreds? You don't! Being 47 years old, I can't see a darn thing without a magnifier and a light....so I just keep it on and here I am shopping for wine. I just dare someone to ask why I can't see....I double dog dare them!!! Waldo is knitting with her Beam and Read Light. The light is forward focused and it sure does make illuminate handwork. Since the Beam and Read Lights are hands free, even a bank robber could wear one so he doesn't need to hold his flashlight. Speaking of robbers....hey I have a great idea. When I plan my next Aurifil Thread Heist....I can wear my GrabARoo's (won't leave any finger prints behind) and my Beam and Read Light to steal all those spools cones of thread from Alex in Houston. The magnifier will come in handy so I can read the colors I'm taking. What would you or "Yo Momma" do with a Beam and Read Light? If you are an IHAN blog follower, leave a comment on this post telling me what you or "Yo Momma" (or anyone on earth you would want to give one to) would use the Beam and Read Light for and and you will have a chance to have the Beam and Read LED6 Deluxe Hands Free Light sent to the address of your choosing. On Sunday, May 8th, I will announce the winner. I may do the random number generator or I just might take the best idea that I read from all the comments....I just don't know yet :) Have some fun!! Well, should I win, I suppose I would pass it on to my mom. She would not likely use it to sew although she might try to replace a button or two. She is currently a resident in an assisted living facility. At age 89, she was living in her own home, managing her life, when someone failed to double check before backing up. My mom was headed to her own car when the one parked next to hers, ran over her. Then the inattentive driver, put her care in forward and did it again! Mother spent 5 weeks in a trauma center........One thing that happened in this awful event was that she lost vision in one eye. The vision in the remaining eye is not great! I know this little gadget would help her with ordinary daily tasks. She is now 93 and doing pretty well, all things considered! Well, since my Mom is no longer here and I am sure she would not need it in heaven, I think I would just keep it for me! My lighting is so bad I can not do any close work at night. Beam and read would be perfect for handstitching and doing crossword puzzles, two of my favourite activities. Thanks for a chance to win. Well, I have no mom to give to, so it is for "Yo Poppa". He is always using a cheap magnifying glass to see things, and a bonus is, I know he would let me use it anytime I want and we know how bad I need one, lol. Maybe then I could do some cross stitch on real linen. Ha ha... my Momma would read a lot more and drive my Dad crazy. He doesn't read so he really doesn't understand why she reads so much. Wow, so many good ideas. I don't think the bank heists are for me...how about being able to see the gray hairs so you can pluck them out! Or finding the mascara flecks that are on your face but you can't see them! There are plenty of good things about getting older, but failing eyesight is not one of them! What a beautiful opportunity. I would so love to win this for my hubby for Father's Day. He rides the bus each day to and from work. When he gets on in the morning, it is still dark outside and the bus lights are not good. He so loves to read. What a treasure this would be for him. It would fit in his briefcase for safe keeping after his trip in for the morning. When he comes home in the afternoon he needs sunglasses ofcourse as it is SO bright outside. Yep, I would give it to Hubby for his daily reading. Very cute post Kelly. And I know anything you recommend is going to be great. Love how you use these to shop for wine too. Maybe I should get some for my hubby for when we go out to dinner and he needs to read the menu. LOL! My momma could really use this for doing her embrodering. Thanks for the chance. Since I already disclosed to you that I'm very, very old and have so much difficulty in seeing at night, I would keep the Beam and Read LED6 Deluxe Hands Free Light for myself and maybe be able to complete one last sewing project before I have to give up my pastime. My Mama would love to have & use this!! She'll be 76 this year & reads & hand sews! Thank you for the chance to win this fabulous gift for my Mama! I am in dire need of bifocals, but, I haven't broken down and gotten them yet. This would be great, especially since you can add the magnifier to it. Light and vision, it doesn't get better than that. I would definitely use it for doing handwork in the evenings. Hubby likes the room dark to watch TV, and with this I would be able to see what I'm doing while keeping him company! It looks like a totally awesome product! I also like reading in bed before I go to sleep at night, and this would be great for getting the light directed right on the page! Well, my momma's eyes are better than mine, so I might have to use it for myself. Since we went to computerized charting at the hospital, my eyes have went down the crapper. Other nurses are having the same problem. Maybe if we all holler loud enough, they will cover our contacts or glasses. My Mother is no longer living for me to give it to her. I think I would keep it for myself. I have just recently started doing alot of hand work and I do love doing it, but it is hard sometime to see in low light conditions so this would be a big help. I would also love to try it in the car, I love to read if I'm not the one driving. I would try it out on my handwork of course, and then I would take it to my guild meeting and show it off to all the members!! And, then maybe, just maybe, I'd let them all try it out!! What a great give-away, Kelly! I would give this to my mum - she just had her second cataract surgery, and things aren't improving like they should. She's an artist, and also loves to read - I think it would help her a lot! I've changed my eating habits and would use the Beam and Read light to read nutrition labels at the grocery store. Thanks for the chance! My mother reads everything she can get her hands on. This would be a great gift for her! Since my mom is gone I would keep it for MEeeee, and think of my Mother when ever I turned it on. She was a great needle artist (mostly embroidery, but she also did quilting and clothing designing) and did most of her stitching on the sofa. I would use it a lot because there is not much in the way of lighting choices in South Africa, and certainly no 3 way bulbs!!! So to do any work in the evening requires overhead lighting and a lamp and that does not provide enough light either. So I still guess when bringing a needle up!!! This looks like it would be a great addition to the basket of tools for doing any type of handwork, be it quilting, crochet or embroidery. I do all of these and the light is never bright enough for my rapidly aging eyes. This is much more stylist then my miners light. I think it would be great to use at our Tuesday group. Lighting is not always the best when doing needle turn applique. I must for my sewing basket. 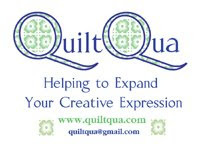 My mother has macular degeneration and needs a lot of light when she quilts. (She hasn't lost her vision, but it has been affected.) I think this would help her greatly! Oh this would be wonderful! I do all my hand stitching sitting on the couch with the overhead ceilingfan light. Not the best lighting. I have thought about getting a side table light, but the plug in would mean everyone would be walking over the cord, and that isn't safe for them, so I go without. This would make it so I could actually SEE to thread the needle.. and see where I am stitching without twisting the work and tipping it and thinking.. gosh maybe I need to go see the eyedoctor AGAIN..
One for my mom to use for reading, one for my daughter to use in her jewelry making, one for my husband to use with his model trains, and of course one for me to use for quilting, reading, and crafts! It would go to Mom first but others will want them too! By the way, do you need a "getaway car" driver for your heist? I'll volunteer! Hmm, this would sure help me with my stitching on the 4 1/2 in. Dear Jane I'm working on. Dark thread on dark fabric makes it touch to get nice even stitches. Great review BTW. My husband and I will probably fight over it. I would use it for sewing hexies in the evening since my lamp isn't very bright. My husband would use to read after I go to sleep so he doesn't bother me. I was helping my hubby with yard work last month and cut some shrubs, well I fought one mean, rough and tough bougainvillea and it won. Have you seen the thorns on those things? I came out with a scratched eye and poor eyesight. After 4 days in the dark and a lot of boredom (no reading, no computer, no watching tv, no light) the eye finally healed and I was thankful for no more irritation or pain. Another visit to the eye Dr. scared the dickens of out of me when she was so concerned about the jagged edge across the center of my eye, that it might need to be debrided by a cornea specialist. Thank goodness the specialist said my eye would heal and I should eventually get my eyesight back, but it might take a few months. In the meantime I'm crossing my fingers and toes to win the Beam and Read light, so I can see to work on my hexes and hand sew bindings on those quilts piled up. So that's my sob story. Unfortunately my mother isn't with us any longer, but here's wishing everyone a Happy Mother's Day! Hi! My name is Dusty and I am an adorable doggie. (My mom is typing this for me because I don't know how to do that, but she promised not to peek and ruin her Mother's Day surprise.) I want this for my Mom because she is a machine quilter and sometimes she has to take out the stitches and that makes her grumpy 'cause she can't see very good out of the eye that had those shingle things in it. Please let her have that beaming light to help her see so she won't be grumpy. Doggie cookies and kisses to everybody! It wold be great to win the Beam and Read! My eyes are not the best and it is hard sometimes to thread the needle on my sewing machine. My mother would always laugh at me watching me try to do it! Kelly..this post was so cute, and you always make me smiles. Thanks for that! I could use this for all my handwork I like to do..everything from embroidery, to yo-yo's, to knitting. Thanks for the chance to win one. My mom has pretty good crafting lights. I would keep this for myself... I can never get my lighting to be right for handwork in the evening. I am only 29 but boy would that be useful, my eyes are getting tired and they get so unfocused in the evening. Quilting by hand with the quilt a few inches from your face is dangerous! Could poke out an eye or two! This beam and read could save my marriage! I could do my handwork and actually see it while not having my light bother my husband....wow! We could stay in the same room while watching tv at night. Thanks for the chance to win it. Well, truth be told, my mama left us long ago & I'm pretty sure she doesn't need such a handy little gizmo where she is....BUT...my early-onset cataracts suuuuure make seam-ripping (and reading) difficult in anything but the brightest of lights. And goodness knows, I do my share of seam-ripping! Should I win a nifty Beam and Read LED6 Deluxe Hands Free Light, you can be sure I'd share it with my dear hubby because he's always getting stuck in dark places, tracking down leaks or mouse-chews, or other things of that go bump in the night. Besides, if he had one of those puppies, I wouldn't have to stand outside in the cold/rain/heat holding the flashlight over his shoulder while he fixed said bumps! Your post cracked me up, as usual!! I can just imagine you planning a heist! What fun!!! I think the light would be wonderful for the "unsewing" we all have to do sometimes.. I would love the opportunity to win the Beam and Read Light for myself. Selfish I know but my mom doesn't have any need for it and both of my daughters still have young eyes. I would use it every evening as I sit and do hand work while I "watch" TV. What a cool gadget. I am sure my momma would try to knit something for her grand kids if she had this light. As it is now she can´t see a thing to knit and she misses that. I really need to change the lamp out in my living room. It's the only light and I can't really see my hand project. I've been thinking that for 6 months now! That looks like it would really be great for hand work. I usually have to do it after dark when all my household chores are finished! this looks like the solution for these "old" eyes. I just can't do the hand work like I used to. Plus I like to work in the car, "if" I can see. There are so many good lights out there for the machine and table. Now one to wear using new led technology. My Mom lives with us as she has macular degeneration and has very limited eyesight. I had never heard of this product but I think it might help her see things better. I would probably keep it for me since I am having cataract surgery in a couple weeks and can't see worth a darn. It looks like a great tool and thanks for hosting a giveaway. Happy Mother's Day to you. I would like to win this. My old eyes need help.. The older I get the worse my eyesight gets. Can't see close, can't see far away. This mama would use it for hand applique, sewing on binding, and embroidery. I'd celebrate Mom's Day by giving myself a gift of this great light. No longer would I have to stay in the sewing room at night in order to see my stitches. I'm sure my husband would give his approval as I could join him in the den. Thank you for the chance to win. I am from a scandinavian family w/ poor eyes - I would gift to my dad - he and I collect coins and this would help him see the details better! thanks! I think I will use it for reading, sewing, quilting, or cross stitching. Thanks for the chance. this would be great for when my husband is working on some small project. I usually need to hold a flashlight for him because he needs to hold the tools. This would be a great Fathers' day gift. Thanks for the chance to win. I think he would let me borrow it to do my applique every once in a while.! What a fun giveaway. Happy Mother's Day to you. This Momma would use it to pick out the multiple splinters in little boys feet. I am sure it would get some abuse once they figure out how great it is and it would be useful for examing bugs, looking at fossils and did I mention sneaking into the kitchen late at night to finish my last Mother's Frosted Animal cookies! I'd love to have one of these - I've always loved a well-lit room. My husband is fondly referred to as a troll because he prefers to be on the computer or watch TV in virtual darkness. This may be the solution to us being able to spend evenings together! Well since my mom doesn't sew or read or do anything creative I would keep it for me. Thanks to my wonderful grandmother who taught me to embroider I now do needlepoint, stitching and rug hooking. Since I turned 50 the ole eyes aren't the same. This would be great for stitching and reading especially where I need good eyes. Thanks for the opportunity. It is so much appreciated. My mother has cancer and is bed ridden a lot. I would give it to her to help her see her laptop keys and read. She is like the best mom ever. I would give her the moon if I could but she told me when I was 9 that the basement was not big enough. My mamma (a bit older than 47, as I am nearly 43) might be able to start handwork again with such a light. She used to do some really nice stuff, but has given it up in recent years. The gift of light! What could be better? Hmmm, my Mom would probably smack me up side the head for even thinking that she needed help seeing something...like where she left her glasses last. So I would have to keep Beam and Read for myself. My mamma went to heaven long ago but my best friend is 86 & has failing eyesight - she's constantly saying, "why don't you turn on some lights in here so you can see" when I can see just fine. She is a hand quilter & an avid reader so the Beam & Read would be a perfect gift for her. Thanks for the chance. I'm the mumma that would be using it if I won. I confess that my sight is doing the "ageing" thing and any sewing or quilting after dark needs the equivalent of arc lights, set up in a semi-circle around me! Thanks for the chance. What a terrific giveaway. If I won, I'd definitely give it to my Dad. He'll be 91 in June & is in pretty good health, but has issues with his eyesight, so this light would be a blessing to him. Hi Kelly! I would use a Beam and Read LED6 Deluxe Hands Free Light to read my new Mother's Day Kindle in the dark before falling to sleep at night. I used to own one just like that but it only had one light so it wasn't very bright. Boy, they've sure come a long way! Thanks. This "helper" would be just what I need to help me make more accurate seams - a task I am always having trouble with. Also I think it would be helpful when I am knitting in the evening. Thank you for giving us all a chance to win this. not sure where my post went lol. , and a gift is all wrapped, so it should be a fun day! Most people don't know this but I use only one eye. Oh, I have two but only one is funtional. Yes, all my sewing, quilting, cross stitching, crochet, reading and any hand work is done using only one eye. It would most helpful to have a "little help" when I sit in my chair and do handwork and/or read my manuals and instructions. If I should win, I would pass on to my mom as this is one "tool" that she would use day after day. She is not able to sleep for long and always gets up a couple times during the night to work on one project or another. With this light she would not have to worry about disrupting anyone/anything. She could just strap it around her neck and work on whatever she should choose to do. I just love this idea for her as she is SOOoo hard to find something for. Okay, so I'm 61 and could really use the extra help when sewing. I have a few dark spots where I normally sew! How ever did this happen?